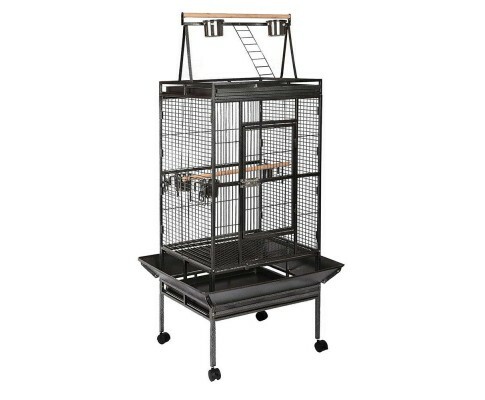 This spacious cage is an aviary paradise for your pet birds and has been designed to let your fine-feathered friends have a truly wonderful roost that they can call home sweet home. 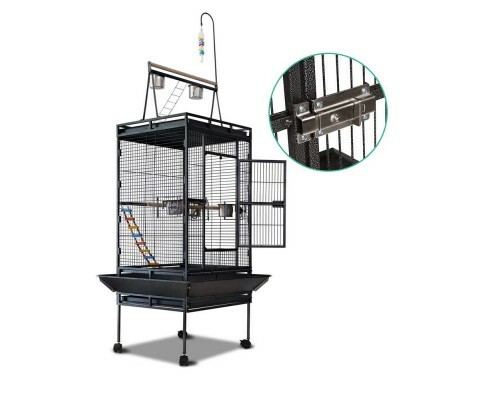 Made from high quality wrought iron, the durable metal cage has a non-toxic powder-coated finish for total eco-friendliness to bird and man.. Every feature is also thoughtfully included to let the natural instincts of your pet flourish. 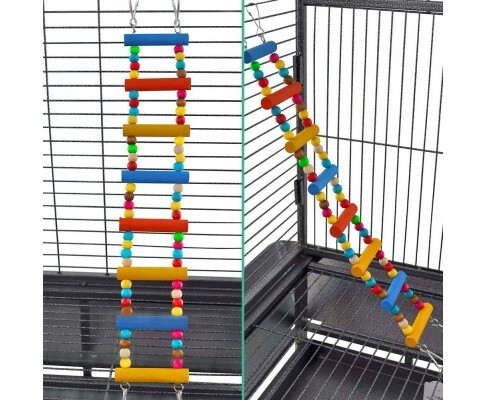 Such as the colourful pecking toys with an ascent ladder, wooden perches and a flexible ladder for a bit of added hopping and gripping fun. 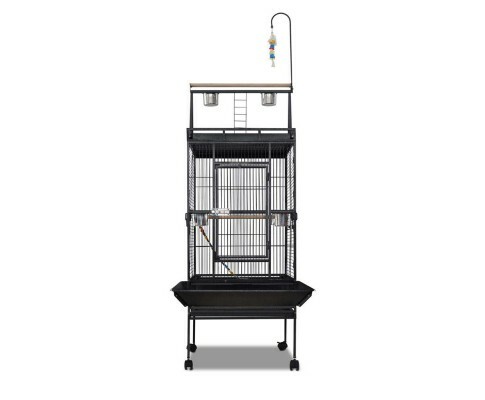 More importantly, there’s also ample space to flutter and spread their wings now and then. 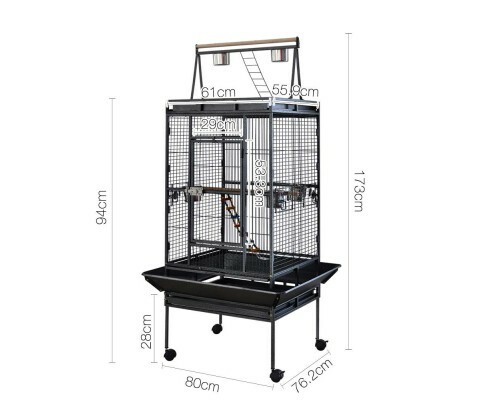 Taking care of your birds is made easy too with one large access door and two side doors to reach inside the five food and water bowls and take them out for refills or cleaning. 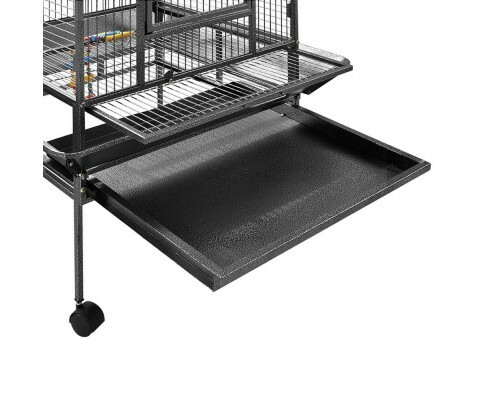 Cleaning is hassle-free with the slide-out top and bottom tray that can also be removed. 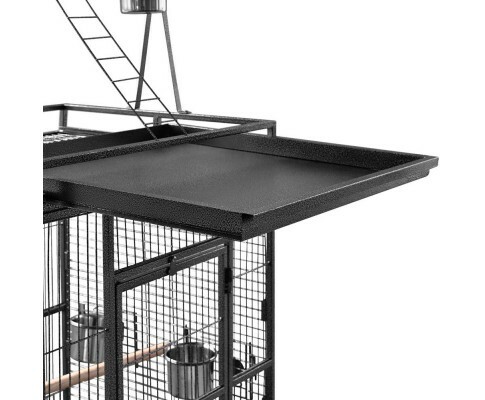 And your feather friends will feel extremely safe too with a set of secured locks to keep prying predators away. 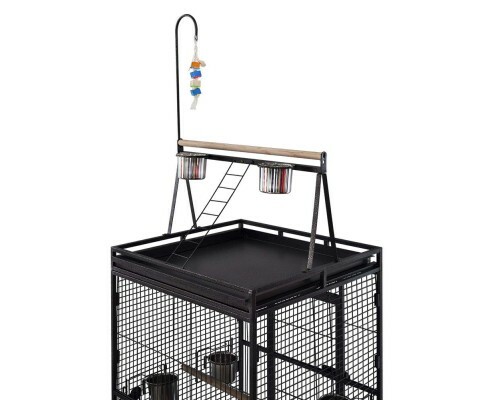 Including that nosey parker feline from next door.